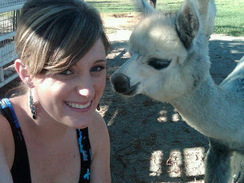 This is Grey Goose and Maddy, our ranch sitter extraordinaire! At 3 months old, he is growing up to be a very big boy indeed. 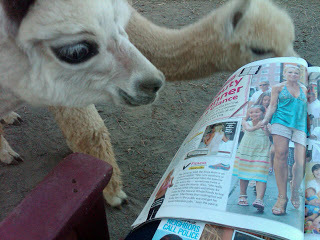 Looks like even Grey Goose likes to read about Kate Gosselin! 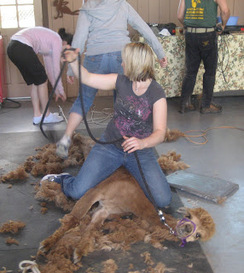 Shearing day was a huge success. 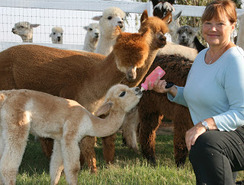 We sheared 61 alpacas in four hours! 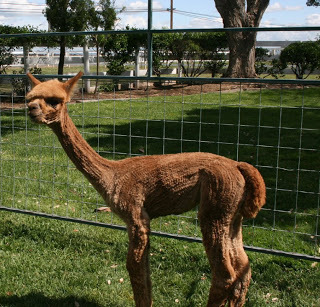 The alpacas were more than happy to lose their winter coats and get ready for the summer fun in the sun. And just look at that cute return on our investment! 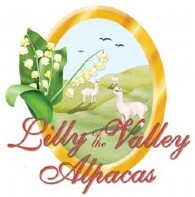 Check back soon for updates on our spring births.